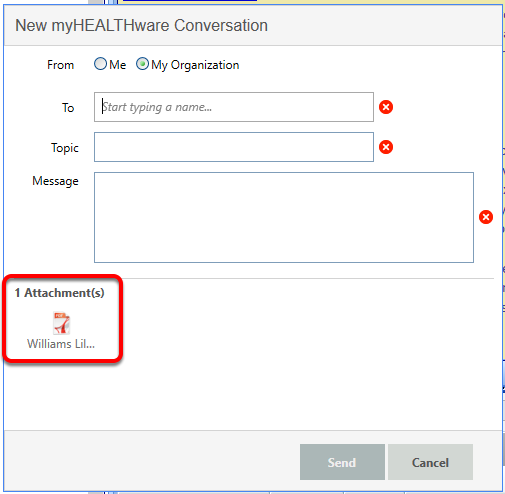 The "Send to myHEALTHware" button in most chart sections allows the user to send the selected document or docutainer as an attachment to a myHEALTHware conversation. Click the "Send to myHEALTHware" button and select Attach to conversation. This will open a new myHEALTHware Conversation that can be addressed to the clinic's patient or connected colleague. In addition, the clinic can add a topic and message to the conversation. The conversation will display the attached documents that will be sent. All documents will be attached in either .PDF or Image format. 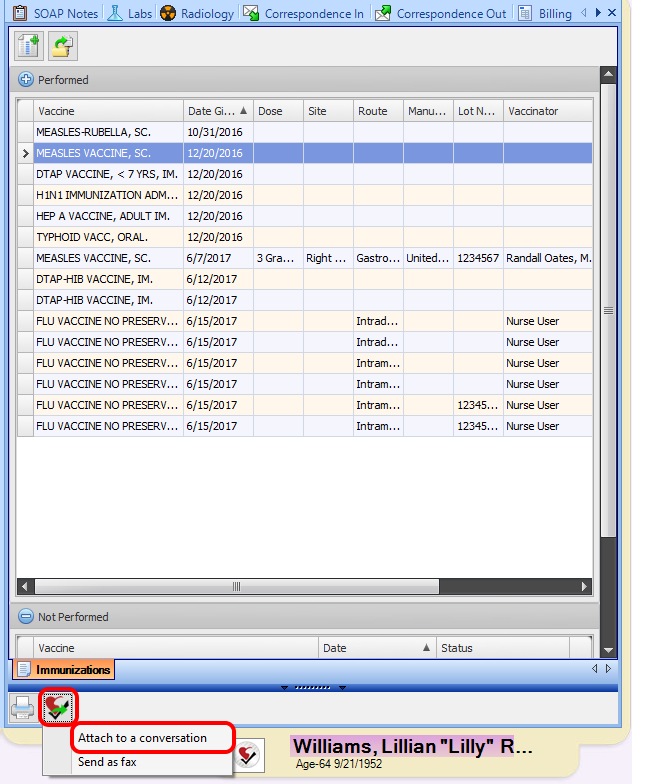 The "Send to myHEALTHware" button will be located under the bottom splitter bar in each chart section. 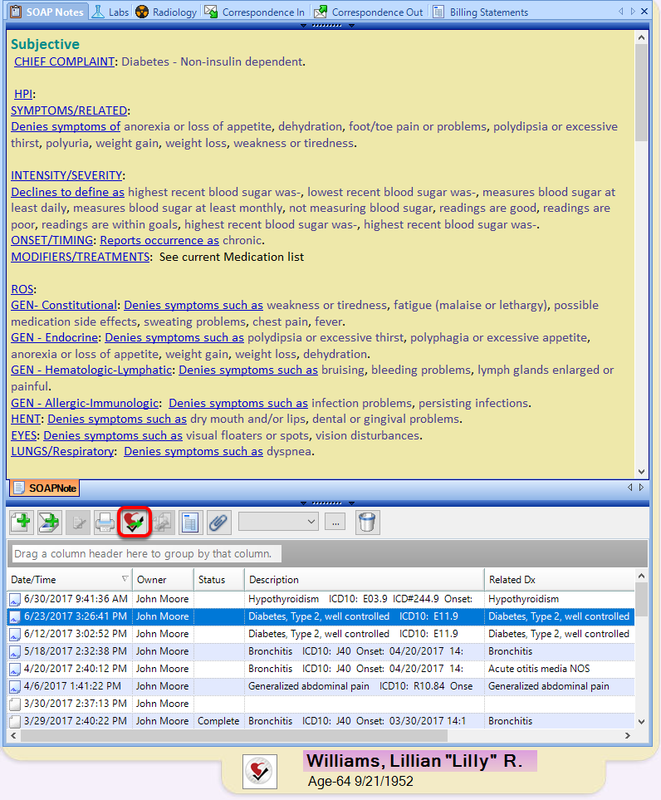 *Note: The Memo and Flags/Notes charts section do not contain a "Send to myHEALTHware" button. After submitting the conversation, the message and attachments can be viewed inside of the myHEALTHware account. 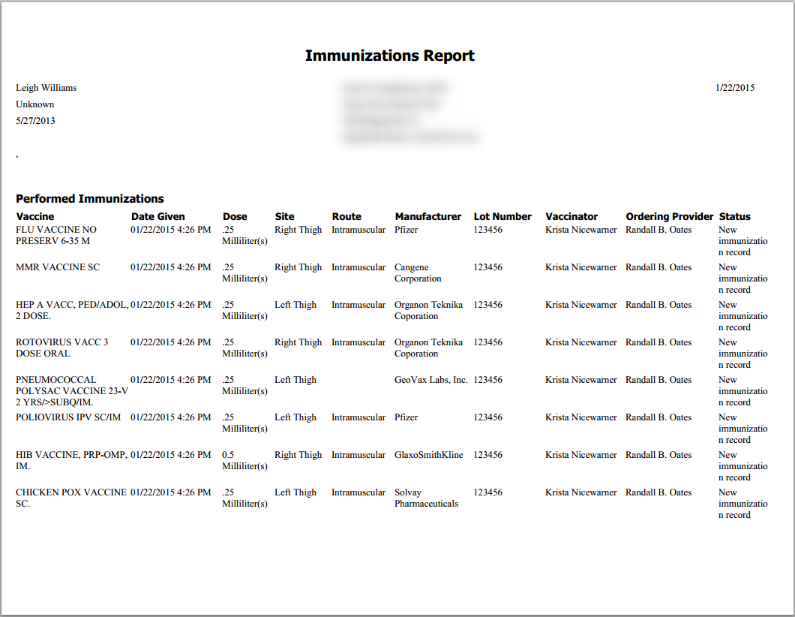 Above is an example of an Immunization Record that was sent from the patient's chart in .PDF format as an attachment to the myHEALTHware conversation.